Karen Irvine, curator at the Museum of Contemporary Photography at Columbia College, Chicago, has singled out Amy Eckert from the applicants for the just-juried Animalia competition at The Center for Fine Art Photography in Fort Collins, Colorado. 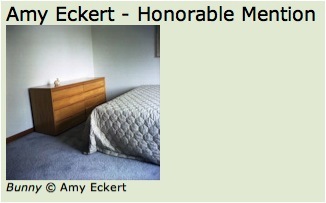 Way to go, Amy! See my earlier post on Amy here.